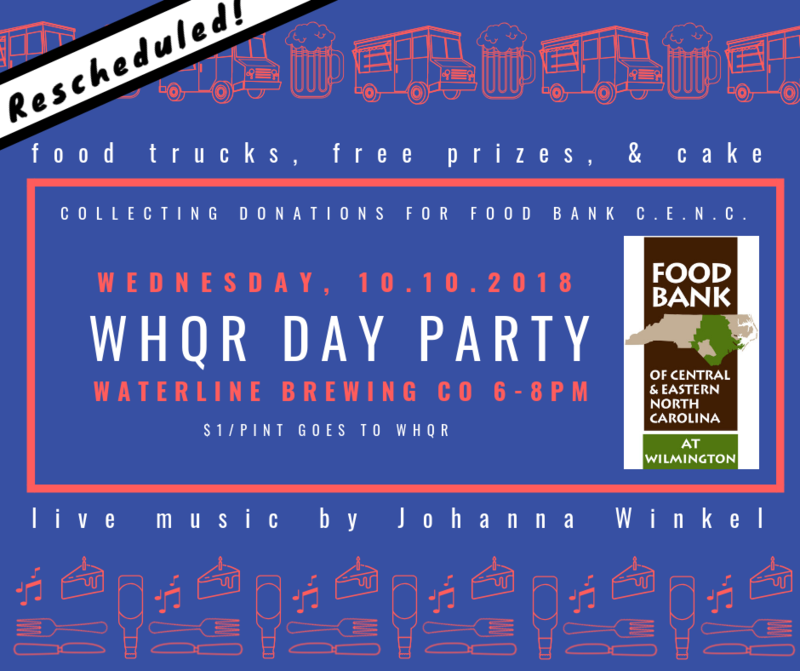 Join us for the big WHQR Day Party on October 10th at Waterline Brewing Company, 721 Surry Street, under the bridge in downtown Wilmington. The event will feature Free Prizes, Food Trucks (Wilmywoodie and CheeseSmith), Live Music from Johanna Winkel, Cake, and More. We are also accepting donations to Food Bank of Central and Eastern North Carolina, which is doing incredible work in our own community post-Florence. For more information on donating food, click here. Plus, Waterline Brewing Company has generously offered to donate $1 of every pint sold to WHQR. Bottoms up! By proclamation of the mayor and New Hanover County commissioners, the 13th of September (9/13) was proclaimed WHQR day. We celebrate every year by inviting the town to meet and support the station!